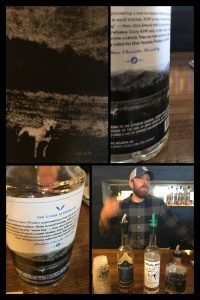 Not only is it a pretty cool title but it gives us a peek into the culture of the Atlanta craft spirits distillery. Jim and his partner Charlie Thompson do take their business seriously. The motto they live and brew by is Crafted with Character. However, there is also a sense of fun. 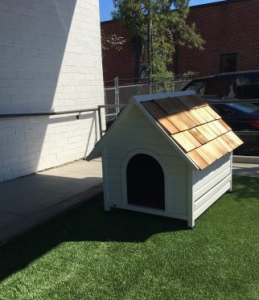 The first clue is the doghouse you see as you walk up to the front door of the distillery. 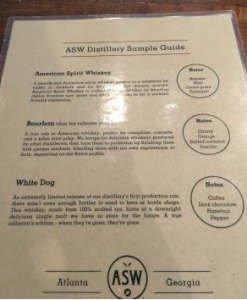 ASW™ is part of the growing craft spirits distillery industry capturing the imagination and wallets (!) of fans who love small batch whiskey, gin, vodka and rum. 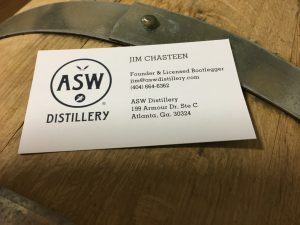 ASW™ is Georgia’s largest craft distillery with a focus on whiskies and bourbons. Their 6,500-square-foot facility includes a tasting room with a gorgeous bar. 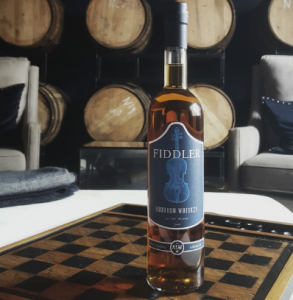 Recently ASW™ introduced a new whiskey, Fiddler, to its repertoire. Fiddle is a high wheat bourbon whiskey. I was invited, via Culinary Local, to attend an official first tasting. It was a treat to enjoy Fiddler before it was even available retail; which by the way goes on sale November 1, 2016. The Fiddler Taste. — For me this was a whiskey that was surprisingly smooth. What I noticed most were notes of caramel along with some citrus. The extra bonus was a lovely lingering after taste. 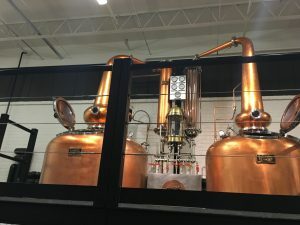 The distillery process for in-house whiskies begins in the custom-built dual Vendome copper pot system that would bring tears to those back-woods bootleggers. This aint your granddaddy’s still.. for sure! Then the spirits spend time hangin’ out in charred oak quarter casks. a tour of the distillery. 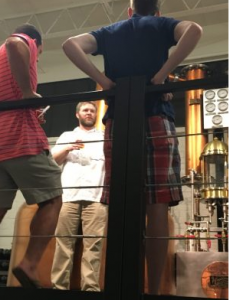 The tour of ASW™ Distillery was great fun and a unique way to spend an afternoon. 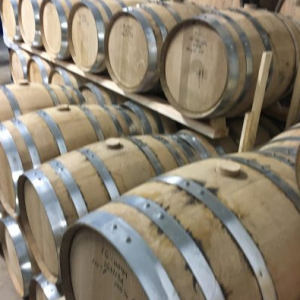 How often do you get to go behind the scenes of a craft whiskey distillery? Not very. Our tour guide was extremely knowledgable and patient as he answered questions about every aspect of the distillery and whiskey making. 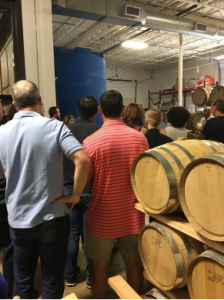 The extra good news is ASW™ offers Adult Tours including tastings to the general public on Thursday, Friday and Saturday. Thoughts are it would make a great GNO, a different place to take out of town guests or a date night. If you like your whiskey as a cocktail ~ checkout the ASW™ website for recipes like The Labrador made with lemonade! Disclaimer: The tasting at ASW™ Distillery was complementary as part of a blogger influence program affiliated with Culinary Local. All opinions are those of the author.